No, that title isn't what it sounds like. I do not think that a full life means having a full closet. Rather, I was sitting around, thinking about the new year, reading ten thousand blog posts about resolutions, and not wanting to make any. I never keep them. I don't even know what I would resolve to do. There is nothing that I've been thinking, "Oh, I need to take care of that," with one exception. I recently looked back at the list I made the first day I started this blog, and boy, I have been failing with a capital F. I am not pregnant. I have not erased all signs of credit card debt, and I have not made any progress in finding a career that will allow me to shop with other people's money (not that I was particularly serious about that one). But, I could do better. One thing I can really, honestly, purposefully, SERIOUSLY commit to is curbing my shopping addiction habit. I have a full life; I have a job (well really two) that I enjoy, I have a deeply fulfilling marriage, I have family relationships that are morphing and changing in exciting ways as my family grows and I become friends with my adult siblings, and I have an apartment that feels mine, cozy, and (almost) finished. I also have a full closet. It is practically busting at the seams. I have clothes at my parents' house, my in-laws' house, and my house. And I still shop. I really enjoy shopping. I love the thrill of finding a good bargain, and I like being up on the trends. I think of shopping as a reward for working hard. But, I am a little bit obsessed. To be honest, this blog has been the absolute worst thing that could happen to a shopaholic person like me. I spend hours and hours a week looking at merchandise, reading about what other people are buying, and scanning websites for sales, steals, and "must haves." You can imagine the consequences. To amuse myself in the meantime, I am going to commit to changing it up. 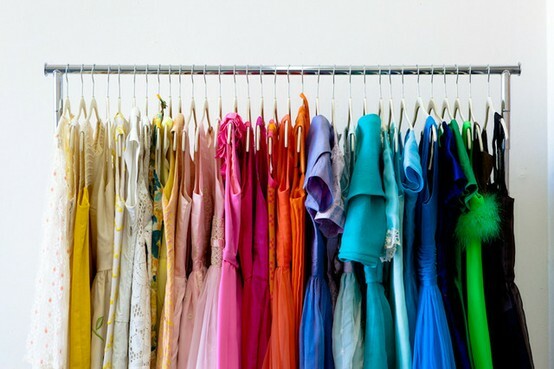 I am going to go through all those clothes, get rid of what I don't wear (sell it at Crossroads, and make some moo-lah), and start creating new and interesting combinations of the things. I often "save" my favorite pieces for special occasions, weekend dates, or trips, and I wear the same boring basics to work. I think I'll stop that. Let's wear all those clothes already! Let the challenge commence. I'll keep you posted. One more rhinestone necklace, then I'll quit! I swear! An excellent and noble goal. I'm doing something similar, as luck would have it.